WIN a 7 Day New Zealand Road Trip! 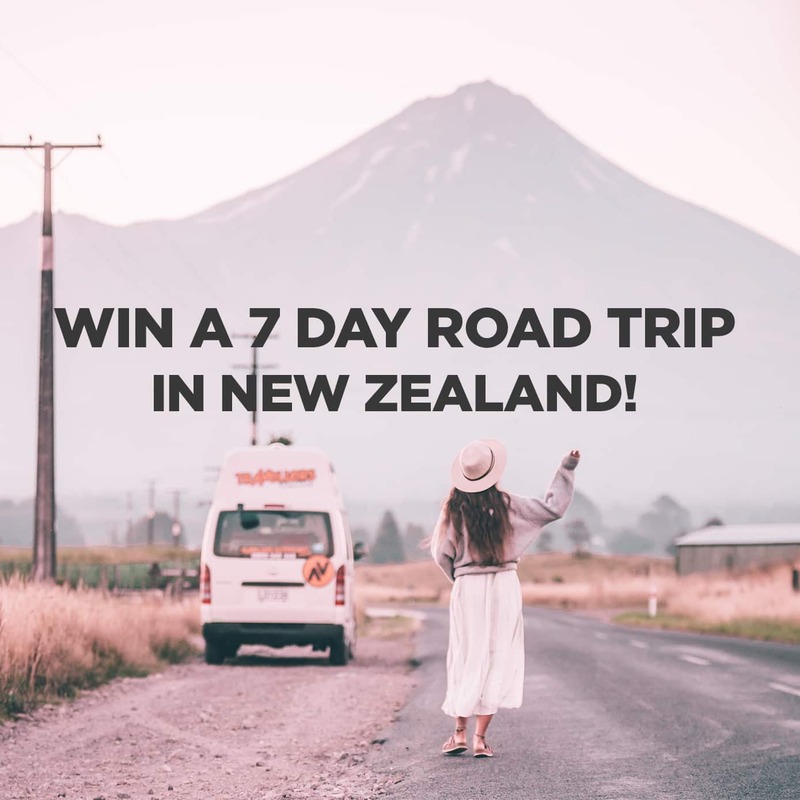 Have you been dreaming of jumping in a campervan and exploring the turquoise lakes and rugged mountain peaks of New Zealand? Here’s your chance to have the road trip of a lifetime! We’re giving away the chance for one lucky adventurer to win a 7-day rental of our Kuga Campervan. Competition in run on Instagram. Entrants must be following @travellersautobarn and tag two friends in the comments to be eligible for entry. Multiple entries are allowed. Prize includes 7 days free of charge on the daily rate of the campervan. Insurance is payable by the customer. Living equipment included for free. All other extras are payable by the customer. Prize is for the Kuga campervan only. Travel between 1st November and 31st March not permitted. Bookings over the Easter long weekend are not permitted. Rental is subject to availability and must be discussed with our reservations team before booking is confirmed. Prize voucher valid until 31st October 2020.